He’s the wallcrawler that made pop culture history and took the Ultimate Universe by storm. Now he’s ready to make history again, as he finds a new home in a completely new universe. Welcome to the Marvel Universe Miles Morales – hope you survive the experience! Today, Marvel is pleased to announce SPIDER-MAN #1 – a brand-new ongoing series starring Miles Morales coming later this year. Comic superstars and Miles Morales co-creators Brian Michael Bendis and Sara Pichelli begin the story that will have the whole world talking! A stranger in a strange land, Miles patrols the rooftops of a New York City that is very different from the one he knew. A world where countless heroes guard it’s skies and streets. A world where Miles is counted among the ranks of Earth’s Mightiest Heroes, the Avengers. A world where Peter Parker is still alive. Though their paths have crossed before the landmark series Spider-Men, with Miles now living in Peter’s universe – is this town big enough for two Spider-Men? More importantly – how did Miles come to be here in the first place?! 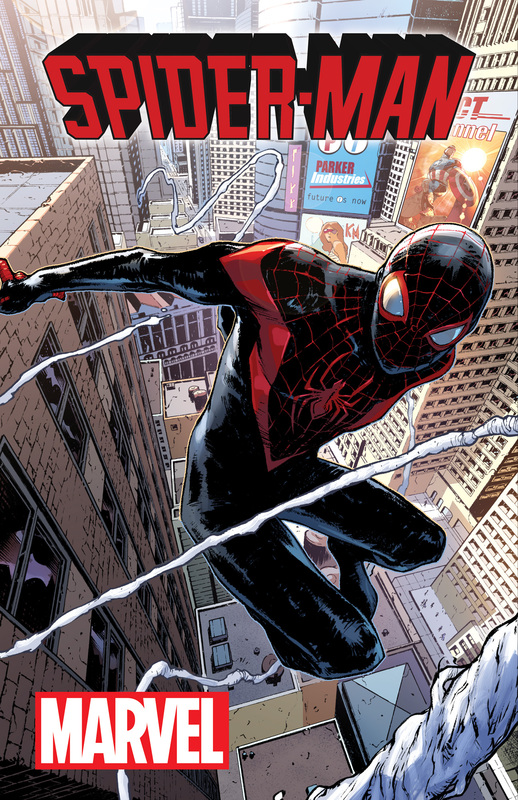 Critically lauded for his resonant and relevant introduction, Miles Morales made headlines the world over with his explosive introduction in 2011. Now, the chart-topping team of Bendis & Pichelli begin the epic next chapter of Miles Morales’ life is about to begin. Where will you be when he makes his thunderous arrival into our universe? Swing into action with Miles Morales, the Marvel Universe’s newest amazing, spectacular, sensational, friendly neighborhood wallcrawler later this year with SPIDER-MAN #1!